Is the service down or am I doing this wrong? I typed ddb.ac/discord into the 'join a server' field on my iPhone and see 'invite expired'. We're living in 3019 now. I already have a Discord account and it says I joined in the app but I cannot chat in it like I can all my other channels. Did you read the rules carefully? You mean by clicking the B yes I did. What is your Discord screen name? We can check if there's anything odd with your permissions. I am getting a totally blank screen with no messages and buttons to click. It actually says that there is nothing. - It tried in the browser and there i see a #welcome and a message with that, but nothing else to read or click or accept. Anything I am doing wrong here? Where you can see the welcome message in the browser, read through the message. Read the last sentence carefullly. Instructions are there. Did you read all the way through the message? The end is particularly important. Edit: ArwensDaughter is on it! 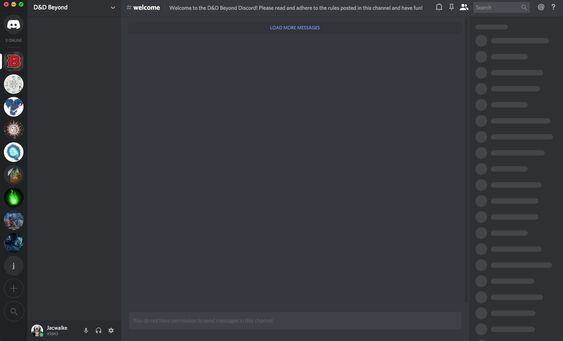 The problem is that I cant read anything i get a completly blank screen without any message and all in the discord app. So i can't read any instructions or scroll to the end as there is nothing to scroll to. - In the browser i see the welcome message at the top, but when i click on it nothing happens. I can't read the full message, only the beginning. So regardless of what i try, it doesn't work. Having the same issue. I'd love to join, but there is no welcome message. 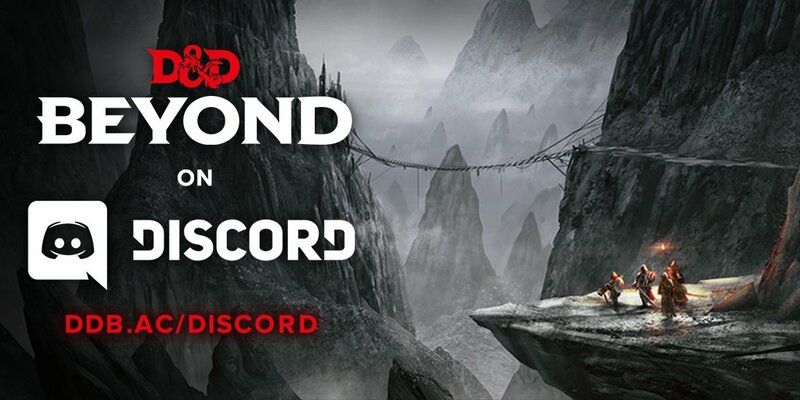 The only thing I've seen is, "Welcome to the D&D Beyond Discord! Please read and adhere to the rules posted in this channel and have fun!". Where do you go to read the rules? This shouldn't be a scavenger hunt. There are similar posts on Twitch and Reddit. Please make this easier. Have you not scrolled down within that Welcome channel? I'm not sure how this is a scavenger hunt... It's one channel containing listed rules, and a reaction to click on at the bottom. Please relay where the trouble is so that we may further assist? This is all I see when I attempt to join. There are no rules or anything else to click or see here. There's currently an issue that staff are working to resolve. We'll post here to let everyone know when it's resolved!